Premium quality corrosion proof stainless steel hook hangers. 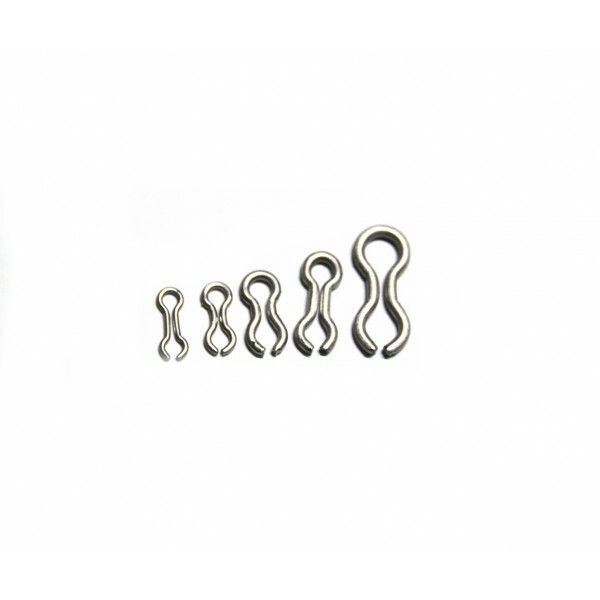 Perfect for sinker moulds, moulded lead soft plastic lure inserts, hard body and general lure making. Size #6 Measurements: 10.8mm total length, 4.4mm closed eye diameter, 4.5mm open eye diameter and 1.04mm wire. Diameter measurements are taken to outside of wire.